After opening an investigation into the death of 18-year-old Yahya Atta Rayahin Bani Minnah, a Palestinian shepherd who was found dead in the Israeli controlled area near Itamar settlement, Israeli forensics teams have reported his death was caused by the explosion of a 40mm grenade. Israeli media reported the findings on Monday afternoon, and said the grenade, launched by an M203, must have been on the ground where Yahya was watching his family's sheep. The report said what initially appeared to be at least 20 gunshot wounds were in fact hits from bits of shrapnel from the detonated weapon. Eyewitnesses had reported seeing a white car of Israeli settlers harassing the young man earlier in the evening, though the corners report makes no mention of cause of death outside the detonation of a grenade that Yahya must have "found." Given where the boy's body was found, and the reports of settler harassment, cause of death was assumed to be at the hands of increasingly violent Israeli settlers in the area. Some Israeli politicians have accused "leftists" and other politicians of blaming settlers prematurely and identifying "totally with the enemy's claims." There has been no indication where the grenade may have come from, and how a shepherd could have come across the un-spent weapon. The M203 grenade launcher is an American-designed and manufactured weapon, with a range of 150-400 meters. Two Palestinians were injured when clashes broke out between Israeli forces and Palestinian youth in the West Bank village of Ni'lin. Mayor of Ni'lin Ayman Nafi reported the entry of dozens of Israeli military jeeps into the area Sunday evening, which closed streets and banned Palestinians from entering local mosques for the evening prayers. As a result, fierce clashes erupted in the center of the village. Those injured from the clashes were 22-year-old Muhammad Srour and 25-year-old Nabil Fayiz, who were hospitalized in Sheikh Zayid Hospital in Ramallah. Nafi said Israeli forces erected a permanent checkpoint at the village's main entrance. For the third time since August Israeli politicians are worrying about the increase in violence directed towards Palestinians by angry Israeli settlers in the occupied West Bank. Coming at the same time as increased pressure from foreign countries for Israel to stop settlement expansion, and even consider the evacuation of West Bank settlements, the calls for legal or military measures to regain control over "rampaging" settlers have grown louder. The most recent attacks have shocked Israeli politicians even more than earlier incidents. On Sunday Israeli Defense Minister Ehud Barak suggested taking a "tougher stance" on settler violence in response to individuals taking the law into their own hands. Barak was particularly concerned about the increased aggression that settlers were exhibiting towards Israeli soldiers charged with their protection. According to Israeli media sources, Barak said that even though those who perpetrate violence are documented, they have "rarely been brought to court or tried for their actions, [and] those who are brought before legal authorities are discussed with light penalties." "Several hundred unruly Jewish settlers are running amuck, beating IDF soldiers and attacking the likes of Prof. Ze'ev Sternhell [an Israeli peace activist]. the government is helpless before them and all the law enforcement agencies just say there is nothing that can be done." The renewed concern came on the same day as Israeli army radio announced the existence of a map delineating the borders of a "final status" Palestinian state. While the map itself has not been revealed, the radio broadcast said it included the evacuation of Israeli settlements in parts of the Jordan Valley and southern Hebron district as well as the Gaza Strip. In return, Israel would keep three major settlement of Ma'ale Adumim near Jerusalem, Gosh Azion south of Bethlehem, and Ariel in Nablus. The deal promises Palestinian sovereignty over the Jordan Valley - which is land already recognized as Palestinian - and insists on the three largest settlement blocks (two of which have bread the violent settler movements) remaining as Israeli islands in a Palestinian nation. While the deal is inadequate, and does not mention any exchange of land taken by the large settlements, more importantly, it is beginning to be unclear how Israel will go about delivering sovereignty even in limited areas in the West Bank. It is clear that Israel either has no control over the citizens it sends into Palestinian areas who lay claim to land for the state, or that the government has no desire to control the violent actions of its citizens. Either case does not bode well for negotiations. The most recent wave of settler violence included the execution of 18-year-old Palestinian shepherd Yahya Atta Rayahin Bani Minnah, who was shot at least 20 times in the neck, chest and legs. Minnah's body was found on Saturday in an area under the strict control of Israeli forces, and eyewitnesses saw a white car carrying setters stop and chase after the boy shortly before his body was found. On the same day settlers raided the Palestinian village of Kafr Addik, with much the same results though only 4, rather than ten, Palestinians were injured. Two weeks earlier 100 settlers from the illegal Yitzhar settlement near the West Bank city of Nablus rampaged through the nearby village of Asira Al-Qibliya, burning cars, destroying Palestinian property, shooting life ammunition in the air and spraying graffiti throughout the area. 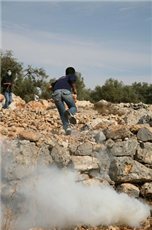 In both cases Israeli soldiers did nothing to stop the settlers, and sent shots into the air when Palestinians attempted to leave their homes to defend their property. 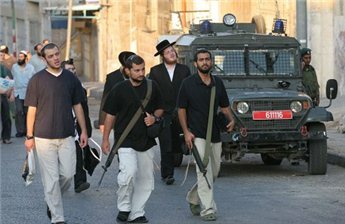 Again in both cases there was a military curfew put in place by Israeli soldiers as settlers rampaged around the village. Though some of the attacks have either been nominal or direct responses to Palestinian violence, they are always out of proportion and -more worrying for the Israeli government - out of control. After attacks and growing unruliness of settlers during August including one which sent a pregnant Palestinian woman and her daughter into hospital, members of the Israeli Knesset called for an increase in military presence around northern and southern settlement blocks. This increase in military presence was meant to help keep settlers in line. After the second set of shocking attacks in mid-September, MKs called the settlers in the West Bank "anarchists" and "hooligans" and most suggested that those settlers propagating violence against their West Bank neighbors be tried and prosecuted for their crimes. At the same time MK Haim Ramon proposed his controversial "evacuation-compensation" plan to entice settlers away from West Bank homes for large compensation packages. What has yet to be seen is whether hardening rhetoric will stand up against the swell of settler violence, and the even more powerful settler voices claiming the right to defend the state when the state itself will not act. 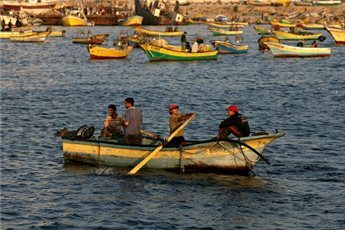 Shots were fired by the Israeli military on Gazan fishermen of the Rafah shore on Sunday afternoon, sinking the fishing boat and endangering the lives of those aboard. According to the de facto ministry of agriculture the sinking vessel and its operators were rescued by nearby boats. Omar Al-Habeel, the owner of the boat, said it was cracked down the side, but rescued from sinking. Israeli forces continued to fire shells at fishermen in the area, and shots were also reported in the northern Gaza Sea, according to Hasan Azzam, director of fisheries in the de facto government agriculture ministry. Local Gazan fishermen, who depend on their boats for their livelihood, were horrified. Azzam condemned the actions, saying they highlighted the cruelty and continuation of occupation despite the "unilateral withdrawal" in 2005. Israeli forces beat and harassed several youth after they stormed the northern West Bank village of Kafr Qaddum east of Qalqiliya on Saturday evening. 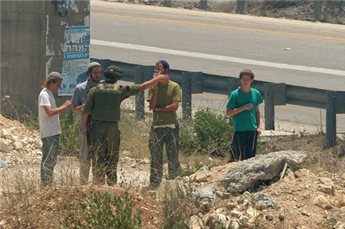 A ten soldier Israeli patrol accosted a group of ten Palestinian youth and asked for their ID cards. While the men were waiting for their cards to be checked, other soldiers began harassing them and beat several of the young men. Eyewitnesses said those beaten were Hassan Shteiwi, Muhammad Shteiwi and Hilmi Shteiwi. Four Palestinians were injured after a group of Israeli settlers entered the village of Kafr Addik, attacking cars and firing into the air according to the Al-Haq foundation for human rights. As settlers continued to roam the village armed with guns, Israeli forces imposed a curfew on the area rather than taking the settlers out by force. Villagers reported hearing periodic gunshots, and were further attacked by the Israeli army as they threw poisonous tear gas and light bombs into the village to disperse Palestinian residents who rushed to defend their homes against the band of settlers. 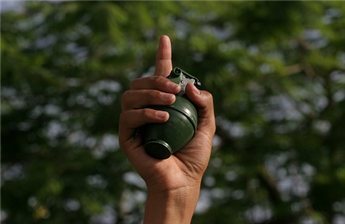 Al-Haq identified two of the victims as 14-year-old Abdul-Aziz Iyad, whose hand was broken after he was shot with a rubber-coated rubber bullet, and 27-year-old Abdul-Rahim Hussein who was run over by a military jeep and remains in hospital. The identities of the other injured Palestinians are unknown. It is believed that the settler attack came as a 'retaliation' for the injuries one settler sustained on Saturday morning in his car en route to the nearby Ale Zahav settlement. The settler sustained light injuries after his car was hit with a bullet shot by a Palestinian gunman. 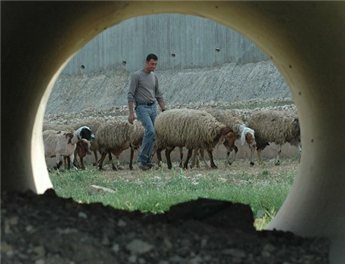 Israeli settlers executed an 18-year-old shepherd boy in the fields outside Aqraba, a town in the Nablus district of the northern West Bank. Village municipal affairs representative Ghassan Douglas identified the young man as Yahya Atta Rayahin Bani Minnah. Douglas said that a gang of Israeli settlers from Itamar settlement shot the boy at least 20 times at close range. Yahya did not return home with his sheep for the fast-breaking meal, Iftar. His family alerted the neighbors and the whole village organized a search party to look for the missing boy. His body was found in fields between the illegal Israeli settlement of Itamar and the villages of Aqraba and Awarta. According to Douglas, eyewitnesses reported seeing a white vehicle driven by Israeli settlers stop, chase down the boy and shot him directly.